You are looking at a Mercedes W109,108 300SEL/280SE/SEL 4.5 V8 RIGHT ( Passenger US ) exhaust manifolds connecting cut off 2 pipes only ( For cars with 2 manifold type motor on the right passenger US only ) . Comes as 1 set of cute 2 pipes per sale only. The pipes were cut off at around 14 inches and will need to be welded back to the main pipes as seen in the pictures. These are used parts with imperfections, rust, cut off area's and scratches as seen in the pictures. These parts come with a 30 day limited warranty. Free Economy Shipping in the USA Only. Thank you for shopping with us and please visit us again! If you the buyer is not satisfied or happy with part due to incorrect description or the part malfunctioning. Please eBay message us / call immediately and we will send a replacement part within the time frame or provide the best service possible hassle free. Typically orders will be processed/shipped within 24 hours (except weekends and holidays) after payment is received. Please allow up to 1 to 2 business days for the item to be shipped. Usual transit time from 5-7 days, it depends on destination. (Please ensure that the shipping address you provide at checkout and pay pal is accurate to insure correct delivery for the package (s). Please check the fit and our shipping and handling before buying/bidding. Serious buyers/bidders only. Shipping charges are based on E-bay's shipping calculator. We do not charge any handling fees or any other fees unless stated (domestic shipping). International fees may apply. we are required to collect 8.5% sales tax from California residents added to the end of auction at the checkout. Please note that we do our best to describe all damage. If you the buyer are not happy with an item, please see our return policy. We do not do partial refunds but we do want every buyer to be happy with their purchase. Please read above for the detailed description of the item. Thank you. Payment must be completed within 6 days of the close of auction, and all PayPal or credit card payments must be made within this time period. If payment isn't received within this time period the order will be revoked . We reserve the right to re-list and sell the item again on e-Bay.We are required to collect 8.5% sales tax from California residents which will be added at the checkout. This tax applies only to item purchased, not shipping. All other states no tax applies. All local pickups and deliveries within the state of California we are required to collect a sales tax of 8.5% which will be added on at the checkout. Shipping is done by e-Bay's shipping calculator. We do not charge any handling or any other charges and they are set at the lowest. We ship items as fast as we can, within 24 hours. Orders usually arrive in the time estimated by the carrier but may take longer in some cases depending on USPS or UPS delivery schedule. Please be aware sometimes and especially in the holiday season the shipping carrier might take longer than the estimated business days to deliver the item. 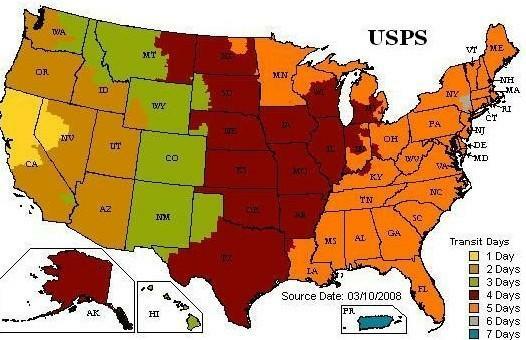 We ship most of our items via USPS or UPS. Items are professionally packaged to guarantee the safe arrival of the item and shipment to the address provided to us. All items overweight will be shipped terminal to terminal via heavy freight company. We ship worldwide. Shipping charges are based on e-Bay's calculator. Handling charges apply for certain countries or certain items. Some large items cannot be shipped due to their size/weight and high shipping costs. Please do not mistake customs charges for extra shipping charges. It is not up to the seller for customs charges or delays. Most items take 11-18 days excluding holidays and weekends or up to 30 days in some cases to receive. By law we cannot change the item value declared on customs forms. It is against the United States law. Sorry Local pick-up is not available. If you would like to arrange for delivery with in the delivery area, Please use eBay message / call. Items should be paid in full before before they are delivered through eBay. Only large or heavy items are eligible for delivery for a fee with in the specified area and cost as stated in the item description. 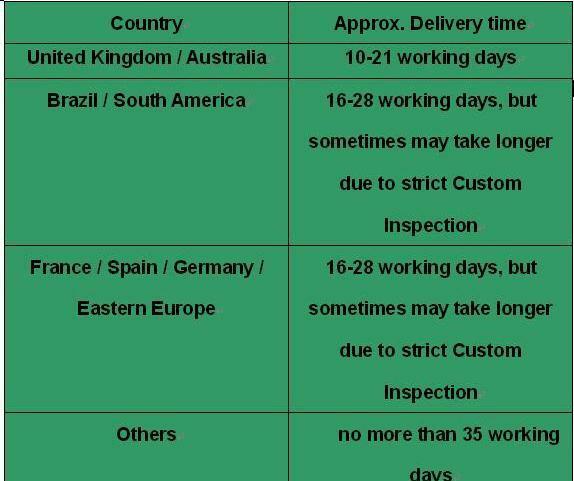 We want your item to arrive promptly and safely. Our store professionals use first-quality materials to pack the items with care. There are rare occasions where an item is lost or sustains damage during shipment. Please use eBay message / call to initiate a claim with the shipping carrier. You must contact us within 48 hours of receiving the damaged item. Please retain all packaging and provide photos of the packaging and damage. The claims process takes approximately 10-21 business days. Once the claim is approved and paid, we will issue your payment. Our liability, without declared value coverage, shall not exceed $100. Has not been used, installed or disassembled. Electrical parts and components without return or warranty stated without return or warranty stated (such as Ecu's, push button units, relays, air mass meters, etc). Some auction Style items with no return or warranty stated. The cost of shipping will be credited only in the instances that the return is a result of our error. We mark all items with a security mark before shipping. Prior to refunding payments we must verify security markings and compare previous auction pictures and archived information of the item. Most of the 'Buy it Now' items have a 14 day return policy, unless otherwise noted, and should be in working condition or otherwise stated. Most auction items do not have a return policy. If an item does not work due to being faulty, not to customer error or misuse, it will be refunded either for merchandise credit or a refund. Customers are responsible for shipping the item back. Shipping charges are not refundable. We try to make our customers happy and provide the best customer service. We combine shipping for customers upon their request with no extra cost. Please be aware prior to bidding that all of our auctions are sold as is and are non-refundable. All winning bidders/buyers must pay for the items within 4 business days after the winning of the items. Otherwise, please contact us to let us know if there are any problems we can help resolve. Once we receive a good feedback, we would be happy to do the same. All descriptions of the item are to the best of our knowledge. If anyone has any input or there is an error in the listing please feel free to contact us. Please keep in mind that most of the items we sell are in used condition or re-manufactured. We strive to sell the best used parts. Information is reliable but not guaranteed for fit. Please check with the dealer or shop for the fit with part number. It is the responsibility of the buyer/bidder to check the fit of the item. Used parts are not guaranteed to work, fit or operate correctly. Please be sure the item is at fault and not any other problem before contacting us or returning the item. Mb-vintage-world uses its best efforts to inspect the items for sale and create descriptions and furnish photographs that fairly and adequately depict the type, condition and image of the goods at the time of sale. Mb-vintage-world makes no express or implied warranties or representations regarding the condition or suitability of the goods and to the extent allowed by law, specifically disclaims any express or implied warranties, including but not limited to and warranty of merchant ability of fitness for purpose. Mb-vintage-world reserves the right to cancel bids on any item due to feedback. At mb-vintage-world it is our highest goal and best intention to provide exemplary customer service. Our success is based on your satisfaction. Open and honest two-way communication is the key. eBay massage us / Call for immediate attention regarding any problems with merchandise bought between the hours of 10 a.m.-5 p.m. pacific standard time.(U.S.A.) We only sell items through e-Bay. Some of our items may come with a 30 or 180 day limited warranty if stated. That warranty covers the item if it fails or stops working due to internal failure, not human error, and only within the time period stated. The item will be exchanged with another item once we receive the defected item. The item(s) will not be exchanged/returned and will not be covered under warranty if it stops working due to human error or has been taken apart. Three decades of Chrysler concept cars from the '40s, '50s and '60s will be on display at the 19th annual Amelia Island Concours d'Elegance on March 9. The Thunderbolt roadster and Newport will be on hand to show off design elements inspired by the land-speed record duals of the 1930s in Bonneville. The Thunderbolt is being presented on behalf of the Driehaus Collection and the Newport will be provide by The National Automotive Museum of Reno, Nev.
We have the first video of the 2013 Mercedes E Class facelift showing the changes Mercedes has made more clearly. Not just the usual nip and tuck you’d expect in a mid-cycle facelift, but real sheet metal changes and proper upgrades as well as the usual lights and bumpers stuff. But however many photos we publish of the 2013 E Class, nothing really gives you a feel for the changes until you see them in the flesh or on the move. The 2012 Hyundai Azera will come in at $32,875, including destination, the company said on Tuesday. The range-topping Azera with Technology package will sticker at $36,875. The second-generation (for the United States) Azera gets a major redesign, taking all of the styling cues from Hyundai's current crop of vehicles, especially the Sonata.